It’s Carers Week and once again individuals, organisations and community networks are raising awareness of the amazing contribution unpaid and informal carers make to the lives of friends and loved ones right across the country. This year’s theme is all about staying healthy and connected which is especially relevant if you’re a social worker already using holistic, person centred, community based approaches with individuals and families to help improve their lives. Many of the families we work with will include one or more members with caring responsibilities. The recently launched Carers Action Plan features much with which adult social workers will be familiar. 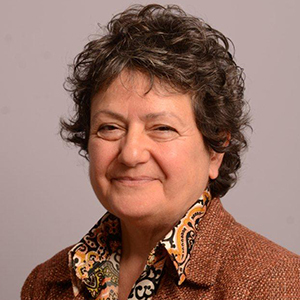 I was very pleased that social workers and social work practice, with support from Research in Practice for Adults (RiPfA) and the Adult Principal Social Workers Network (APSW), have made contributions to the plan. 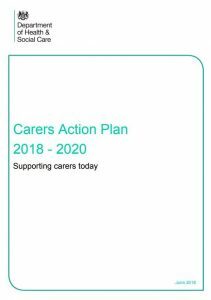 The action plan focuses on informal - or unpaid - care and tasks all of us, working in or with the health and social care system, to improve our practice and support for carers. This is a cross-government programme of targeted work to support carers of all ages and circumstances over the next two years. Ahead of the social care green paper, the plan offers our profession an unmissable opportunity to raise our awareness of carers, engage more effectively with them, and facilitate closer service and community collaboration at a local level. Likewise, it encourages us to redouble our efforts to promote social work with carers and, by association, raise the quality of our practice with them. On this point, the APSW Network has continued to lead on ‘days of action’, which see social workers and other allied professionals, service users and carers come together to celebrate the positive impact of social work practice. For example, previous days have focused on the fantastic work undertaken by approved mental health professionals (AMHPs) and hospital social workers. The action plan recognises the need to look beyond social care services to the wider networks of support and services which help older people to live independently. Again, this is an approach which chimes well with Carers Week’s ‘healthy and connected’ theme - harnessing community and statutory services to promote good health and wellbeing among carers. As social workers, we have a vital role in ensuring access to respite care, carers’ breaks and making employers more aware of their staff’s responsibilities outside work – perhaps by granting more flexible working arrangements. We are uniquely placed to understand and – where necessary – articulate the need for individuals to have a life alongside caring. It’s the opposite of being selfish – if carers can be supported to look after themselves, the quality of their care for others won’t suffer. The place of social work practice, in collaboration with individuals, their carers, and existing health and care professionals, is at the heart of any new vision for health and social care. Carers Week and the Carers Action Plan are helping us focus that vision and keep sight of the prize – the very best understanding, care and support for carers and those they care for.